Steve is 58 years old and had Hepatitis C for 10 years. With all the rumors about these new direct acting antivirals (DAA) treatment being so successful, he and his doctor make a decision to start sofosbuvir-based treatment of his genotype 1 Hepatitis C condition. During the treatment Steve's well-being in being improved and after 3 months the tests show he is Hepatitis C free. He is giddy and excited about it like a little child and tells everybody that a decade-long fight with Hepatitis C is finally over and he had won. He even throws a party to commemorate the moment. Now meet SVR. It is a clinical parameter that stopped Steve's breath. 4 weeks after treatment the same doctor that said he is cured of Hepatitis C, says that he is in fact not free of Hepatitis C at all. His viral load, which was zero when he finished the full treatment, was now up and rising. How can this be? This is a story some Hepatitis C patients go through. After being told there is no HCV detected in their blood after treatment, the standard check up shows signs of Hepatitis C coming back, and the doctors are saying something in the terms that the measure of true cure rate of the medications is SVR. SVR4, SVR8, SVR12 and so on. Many patients are a bit confused when it comes to grasping the difference between successful treatment and SVR parameter. This is why today we will explain what does SVR mean; knowing this will make it easier for patients to better understand Hepatitis C and how it may 'come back' shortly after finalized treatment. In the case of Hepatitis C, the majority of people hear those exact words. In fact, even when the above 95% cure rate DAA treatment was not available and the golden standard of treatment was interferon, many patients heard those words. Hepatitis C virus comes back. In actuality, the SVR and cure rate have a lot to do with our method of detecting the presence of HCV. 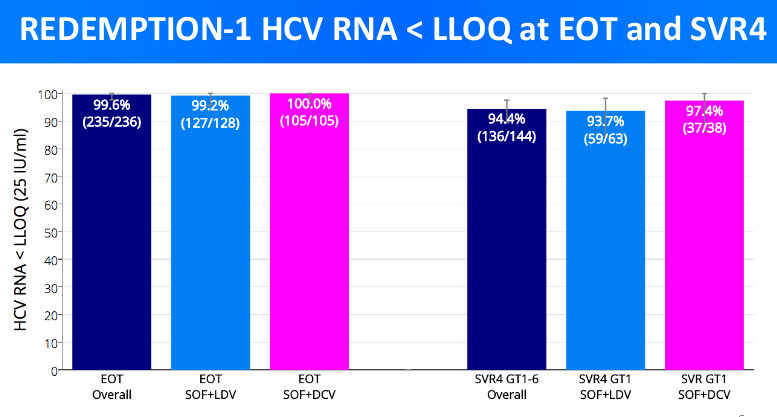 During and after treatment, the HCV RNA viral load is measured - with the treatment working successfully, the viral load goes to zero and we interpret this result as being cured. In fact, however, having zero viral load only means that the current method of detection that works by identifying HCV's genetic material - RNA in viruses - has not detected any HCV RNA. To be even more correct, the levels of genetic RNA material of HCV in the blood was below the limit of detection of the method for measuring HCV presence. During the sofosbuvir-based treatment, patients take pills orally, the therapeutic DAA are absorbed into the bloodstream and from there they go wherever the blood goes and even beyond - into liver cells for example. However, the majority of the medication is circulating in the blood and it is in the blood that they have the greatest effect. At the end of the treatment, we look at blood for HCV, and upon finding none of it, we might say there is no detectable Hepatitis C.
However, HCV can be, for the lack of a better word, sneaky. In some cases, it 'hides' from the bloodstream only to be detected at a later time when it multiplies enough to start slipping into the bloodstream. 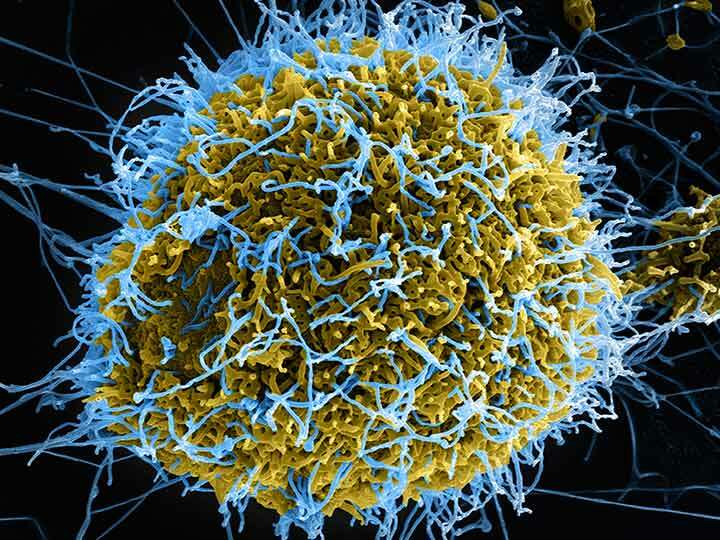 The great thing about the novel DAA treatment is that it 'finds' every virus there is and helps destroy it. In the case of older interferon treatment, it was very successful at eliminating the HCV in blood stream but the recurrence rate was high. 12 weeks after treatment, SVR12 or sustain virological release 12 weeks after treatment, was not 100%. It was closer to 50%; this is why we say that interferon successfully cures Hepatitis C only in about 50% of cases. The DAA-based therapeutics such as sofosbuvir, ledipasvir, ribavirin and daclatasvir always include two distinct therapeutic molecules to scoop out all HCV. Let's say that sofosbuvir reaches and helps destroy 99% of the virus, it's counter part molecule - let's say daclatasvir - takes care of the remaining 1%. If that 1% would be allowed to survive the treatment, it wouldn't be detectable in the bloodstream right after treatment; however, after some weeks, it would multiply enough to be detectable. Detecting it would be a medical confirmation of Hepatitis C recurrence. Luckily, with the new treatment, the number of patients who have zero load immediately after treatment and who retain this zero load even after 4 and 12 weeks, is very great. We talk about above 90% SVR4 and SVR12. Generally speaking, the likelihood of Hepatitis C coming back a long time after treatment (SVR24) is extremely low (1%). The majority of patients where recurrence is happening is discovered 4 weeks after the end of treatment (SVR4). Here is a graph from Dr. Freeman's presentation, depicting the percentage of cure rate immediately after treatment versus 4 weeks after treatment. As we can see from the graph, immediately after treatment (EOT) every patient except for 1 was 'cured'. However, the more realistic cure rate is depicted by SVR4 - this means the percentage of patients who were free of Hepatitis C 4 weeks after treatment. As seen from the results, the blood samples of a total of 8 patients have been positive on HCV RNA 4 weeks after treatment. These are the unfortunate, Steve's which brought the cure rate down to 94.4%. Obviously the higher SVR4 or SVR12 a certain cure has, the better it is. Nonetheless, high SVR or high cure rate comes with some perks as well. According to studies by Pearlman and Traub from Center for Hepatitis C, SVR-achieving patients saw a 'histologic regression of both necroinflammation and fibrosis '; this means the liver responded positively to being cured. What is more, patients with SVR were found to have less liver-related complications such as hepatocellular carcinoma, which translates to less liver-related deaths. According to an up-to-date statistics, about 500,000 people die from Hepatitis C or Hepatitis C related diseases annually. Another interesting discovery by Pearlman and Traub is that successfully getting rid of HCV, which is associated with the increased insulin resistance, decreases the chances of getting Type II diabetes. This is also why HCV should be treated as soon as possible; the occurrence of other disease and liver damage can be reduced.